Hardman, L, & Bulterman, D.C.A. (1995). 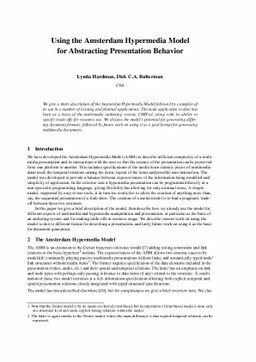 Using the Amsterdam hypermedia model for abstracting presentation behavior. In Proceedings of Effective Abstractions in Multimedia . ACM.